It has long appeared to me that the federal judiciary existed inside a mysterious, secretive cloud. Lawyers I know often speculate on the judicial decision making process, wondering about whether, or to what extent, relationships between judges impact rulings, how appellate panels work collaboratively (if they do so in the first place), if judges are cognizant of the rather sizable qualitative differences between particular judges, and so forth. So the interview with Judge Richard Posner in the July 2014 ABA Journal was a welcome breath of fresh air. Posner, a legal luminary who sits on the United States Court of Appeals for the Seventh Circuit, offers some candid comments that, while not exactly earth shattering, confirm the basic human frailties of the judiciary and affirms my pedestrian understanding of the Third Branch. Posner: . . .I do think the 'regard; in which a particular judge is held by appellate judges is a factor in deciding how much deference to give his factual determinations. Appellate judges are not going to defer to legal interpretations by a district judge—resolutions of 'pure' issues of law. But if we're reviewing criminal sentences or fact-findings, then how one regards the judge's ability will, in a close case, have an influence. That appellate judges respect some district judges more than others ought not to be news. Nor should the idea that judges who are more highly regarded may carry greater sway with appellate judges than their lesser colleagues. I have found that to be true in terms of how district judges treat lawyers, and it seems like a perfectly reasonable approach. Reputations matter, even if perhaps they shouldn't, which is why we ought to care about our own. Interviewer: Do you have any concern when you engage in, for lack of a better word, a dust-up with Justice Scalia that it deflects from the respect the judiciary might have in the eyes of the public, or even the bar itself? RAP: I don't care about that. RAP: Because I don't understand why the judiciary should be the most secretive branch of government. The public probably knows more about the CIA than about the judiciary. There are few secrets in the executive branch. Everybody leaks. And Congress—they're totally exposed. But judges have the most extraordinary gift for secretiveness. Why should that be? Why should judges be able to conceal so much from the public? A very good question. I doubt that the average citizen knows anything of consequence about our judicial system. Interviewer: So, Judge, you now have an opportunity to air laundry that perhaps hasn't been aired. RAP: It's not a matter of airing dirty laundry; it's about the public having a realistic understanding of the strengths and weaknesses of the judiciary. For example, there's wasteful spending on the courts (particularly on the courthouses, which often are wastefully large). There's a work-ethic problem for some judges—you always have that when you have tenure; you have it with academics, with civil servants. But the most secure tenure is that of a federal judge. Some judges work very hard until they drop—others don't. And of course judges are not uniformly able. There's also a problem of excessive delegation to staff, mainly law clerks. And at least three circuits, the 5th, 6th and 9th, now have pre-assignment of judges. A case is assigned to a judge before argument, and he is expected to circulate a memo about the case in advance of argument to the other judges on the (normally three-judge) panel. The danger is that the other judges won't prepare adequately, feeling it's the assigned judge's case. I consider that a questionable practice, deserving full examination. And there are other problems as well, including problems with the overall management of the federal judiciary. In sum: some judges have a lousy work ethic, some are not as "able" as others, some judges are willing to let the assigned judge do the thinking for them, and there are questionable management practices. As outsiders, lawyers who practice regularly before these courts know these things. But it's good hear a person with knowledge candidly acknowledge such basic truths. 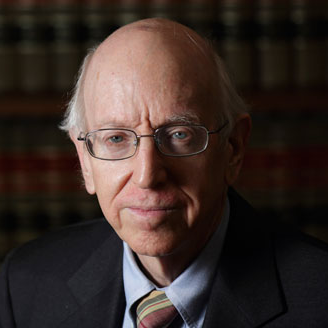 Posner is one of the intellectual giants of the bench and a fascinating jurist and thinker. The interview touches on far more than the above and is well worth the read.